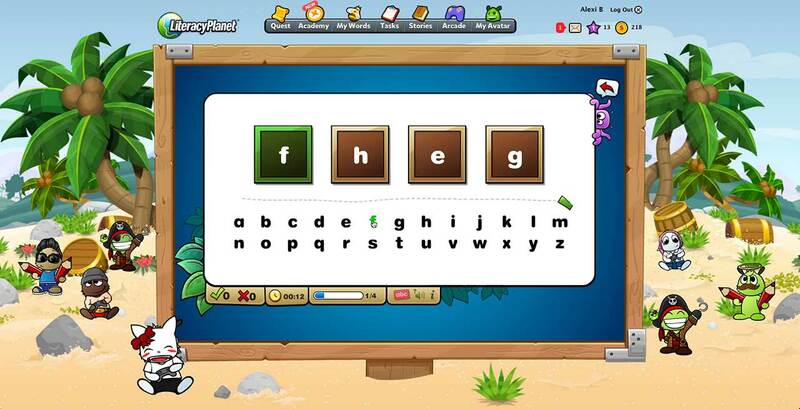 LiteracyPlanet’s pre-reading exercises cover visual skills, sequencing and the alphabet. They help to familiarise young children with the key techniques and skills for reading. Reading is a complex cognitive process of decoding symbols to derive meaning, and it involves skills that children can learn from a very young age, long before they are ready to actually read. As soon as toddlers begin to understand language and communicate using words, typically from around the age of 2 years old, they start to develop pre-reading skills. Pre-reading skills establish the foundation for young learners to start their journey to becoming fluent readers. To master any skill, practise is important, and the earlier children start the better. LiteracyPlanet’s pre-reading exercises help to familiarise young children with the key techniques and skills for reading, and to prepare them for more advanced language acquisition and reading comprehension skills. Developing and nurturing pre-reading skills is also an excellent way to foster a love of reading, and ensure children develop into enthusiastic readers as they get older. LiteracyPlanet’s pre-reading content is colourful, interactive, and enables young learners to easily engage through a touch screen or computer mouse. Tutorials introduce key concepts, and exercises test and develop children’s knowledge and application. They are easy to follow, and provide clear and immediate feedback. Visual skills - these exercises help learners to visually distinguish differences and similarities, explore concepts of directionality, and identify sizes, pairs and missing parts. Sequencing - these exercises explore and teach matching symbols, positional language, sequencing events and letter matching. Learning the alphabet - these exercises deal exclusively with learning the names of letters, and develop the understanding of key concepts such as vowels, and upper and lower case letters.